Heavy stock quality paper with amazingly beautiful print for the most special baseball Valentine ever. Rustic vintage baseball card with metal look cupid, arrow and heart. He will love this Heart felt Baseball Valentines Day Ideas to express your love. He will appreciate and love one of these really cool Customizable Baseball Valentines Day Ideas for Him or for any occasion. Really cool Customizable Baseball Valentines Day Ideas for Him. In addition, you can either have the Valentines gift Customizable or keep our Valentine Message. 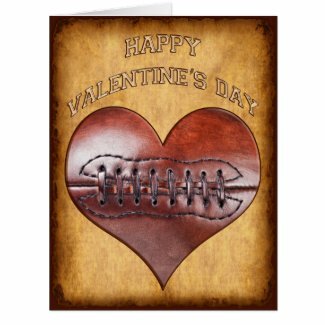 Some of the neatest and coolest antique looking paper background with golden chiseled like Happy Valentine’s Day on the front and your message on the inside of the football valentine. You can choose the impressive BIG Valentine’s Day Cards for men or the Regular Greeting Card size or the smaller note card football valentine. * OR type in YOUR OWN Valentine’s Day Message. Type in YOUR TEXT or keep “Be My Valentine”. Template Text Boxes are located to the right of each Zazzle Personaltized Valentines Day Gifts for Men below “Edit this design template”. Guys will like the faux antique paper and vintage baseball keychains. Tiny Valentine Heart to show your love in a subtle way. 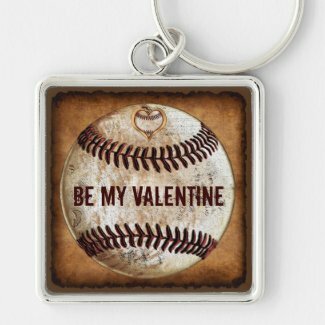 He will love and enjoy one of these Customizable Baseball Valentines Day Ideas for Him. Type in HIS NAME instead for a gift for any occasion. Teeny tiny heart within the ball is inconspicuous yet shows your love. You can also choose the cheap baseball keychain in the Acrylic Round style under “Style Options” in the lower right side of the baseball keychain page. Some of the coolest Customizable Baseball Valentines Day Ideas for Him. Shown is the BIG Valentines Day Cards for Guys or change it to the regular size baseball Valentine card or even the note card size. Three (3) Text Boxes for you to type in HIS NAME, Your Valentines Day Message or Your Text or Delete any of the text all together. Make it a very special day with one of these Customizable Valentines Day Gifts. The most vibrant beautiful printing on heavy weight paper for the best Valentines Day Personalized Cards for men and boy. Some of the coolest Vintage baseball valentine gifts for men who love baseball. Awesome Customizable Baseball Valentines Day Ideas. Rustic Baseball Valentines for your boyfriend, husband and sons. The vintage baseball look is an original creation for a totally unique sports valentine found only here. Makes the perfect Baseball Valentines gift that they will enjoy everyday. 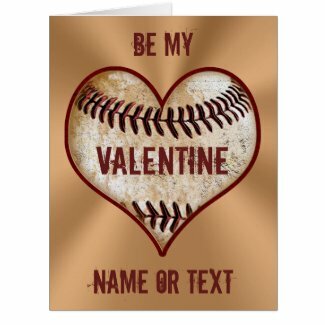 Easy text box templates for you to type in your special Valentines Day message for your boyfriend, husband, son or baseball fans. In some cases, keep our message or delete it. CALL Linda or Rodney for any Special Order Requests at no additional cost. We can change any of our designs to fit your needs. We specialize in Personalized Sports Gifts and we can also help you with many other customizable gifts for him and her. They will love and enjoy their sports valentines day gift. Thank you for visiting our Baseball Valentines Day Ideas. Zazzle products are quality product with the most amazing printing, “Second to None”. 100% Money Back Guarantee if you don’t absolute LOVE IT. 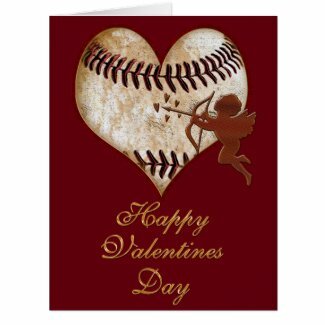 Unique Valentine’s Day Gifts for Men, Baseball Valentines and Football Valentines ideas.